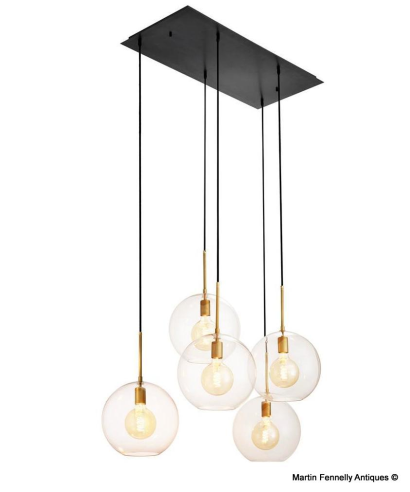 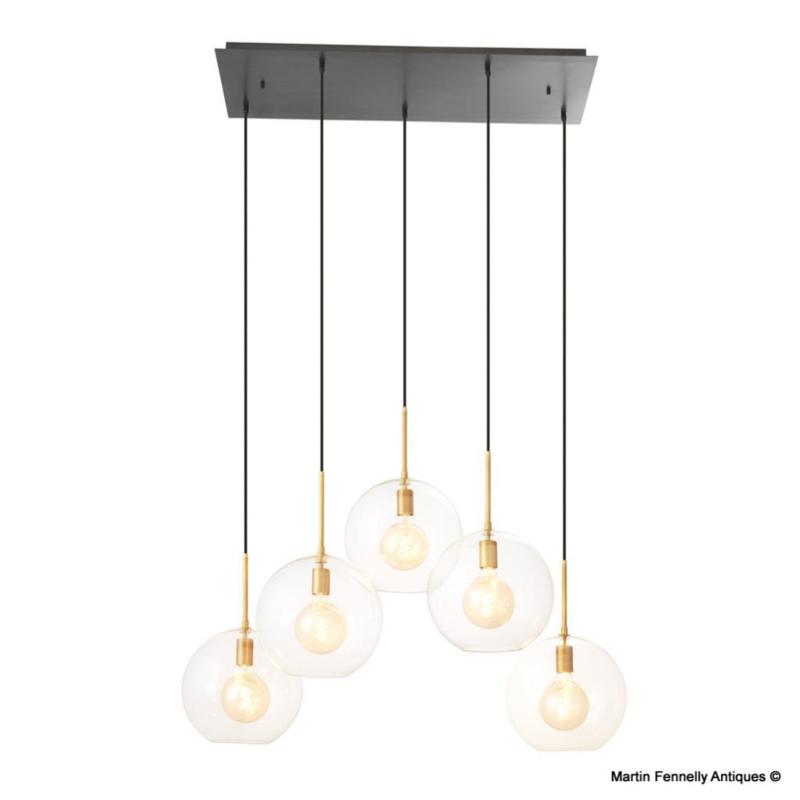 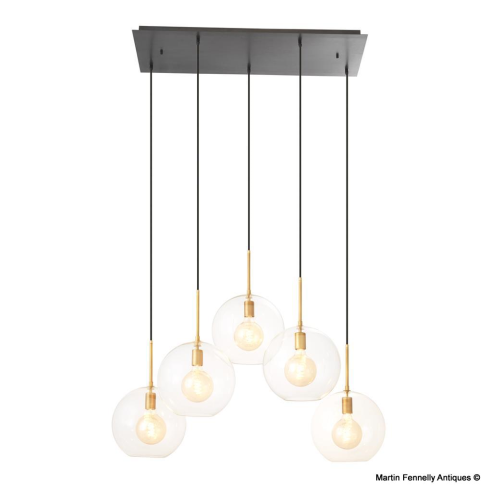 Now this Modern design Chandelier will add some classic grandeur to that modern home interior with its fabulous 5 globe lights and consisting of five globe clear glass with antique brass finish frames on long delicate cables. 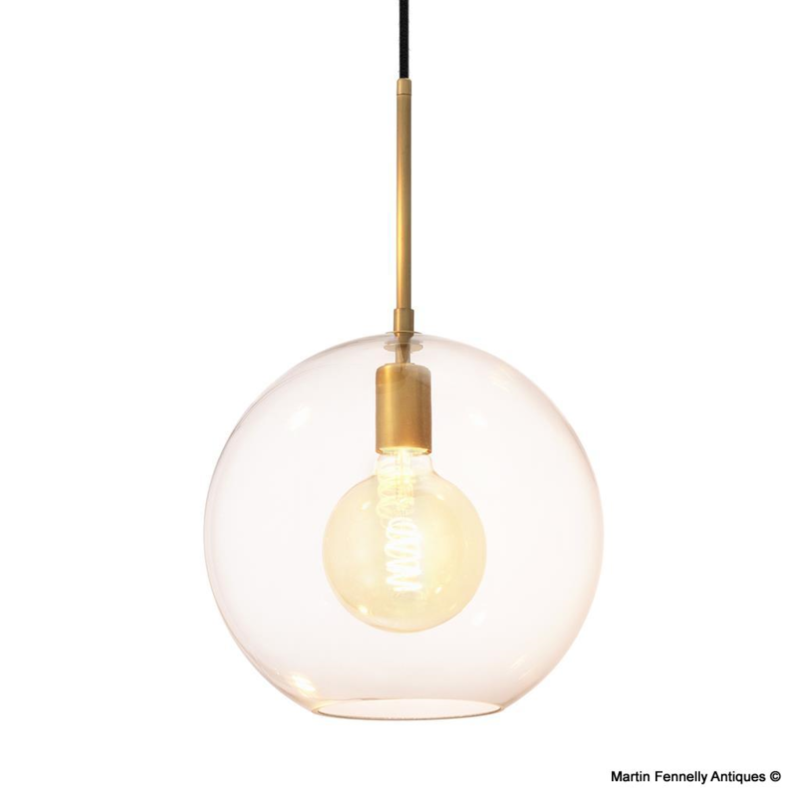 Look really good when paired with a selection of decorative filament light bulbs in each lamp. The whole look is adjustable, very adaptable and will definitely draw admiring glances from visitors to your home. Finished with an Antique Bronze finish.